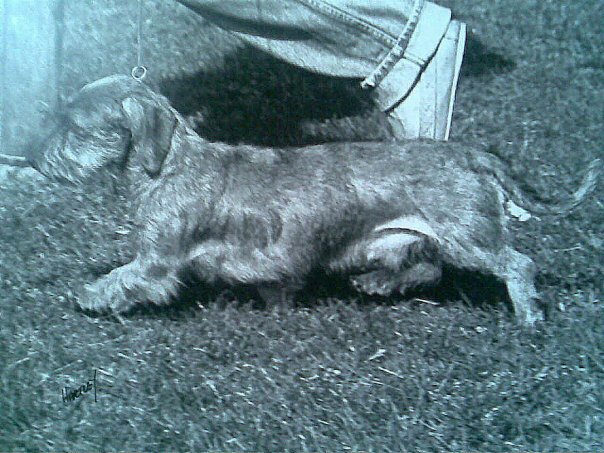 Chip was the first Cotherstone champion and such a super little showman. Born in the mid 1980s, he was a chocolate brindle and weighed 11lbs. A very sound mover who covered the ground with great reach and drive. Fabulous temperament and simply the love of my life!